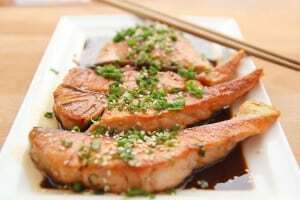 "I'm loving these simple to apply wine & food pairing tips!" We are a group of people that share a deep passion for wine, and hope to ignite that passion in others. My name is Tim Edison, and I founded Wine Turtle with the sole purpose of providing information to those that are interested to learn more about wine. If you're wondering where the name came from, you’re probably not the first. Yet, it perfectly describes what myself and the team stand for, who we are, and the approach we like to take when it comes to wine. We are a group of people that share a deep passion for wine, and anything related to it. Similar to the turtle who never rushes, we like take our time when it comes to exploring the many fascinating sides of the wine world while enjoying every single step in the process. Why Start Another Wine Blog? For wine beginners, it can be difficult to find one source that provides you with the foundation for you to build on. When I first started to learn about wine around 10 years ago, I found it extremely difficult to find information that was easy to digest and that would help improve my understanding of wine. To me, the wine world was one that was only accessible to the elite and one that only those with a degree in the subject or had at least a number of decades of experience. I really enjoyed drinking and exploring wines, but I was struggling to understand some of the basics and didn’t know how to overcome that hurdle. I didn’t understand why certain wines tasted the way they did, how to choose the right wine when pairing wine and food, or even at which temperatures to serve various types of wine. As a result, I probably wasted many good bottles of wine, or certainly didn’t enjoy them to their full potential, just because I wasn’t aware of some of the basic fundamentals of wine. What a waste! To provide a fun and "no-nonsense" approach to wine learning. Although the situation has definitely improved since when I first started learning about wine, and there are a ton more resources out there these days, I personally think there’s still a lot of room for improvement. That’s where Wine Turtle comes in. We don’t take ourselves too seriously, and that’s exactly how we approach wine. Our mission is to make learning about wine as fun and lighthearted as can be, and to make it accessible for everyone to enjoy. 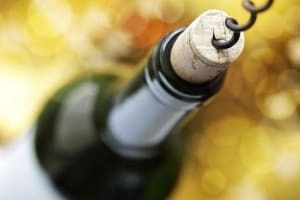 We regularly post articles where we draw back the curtains on the workings of various wine-related topics – whether it is how to make wine, how to pair wine with food, analyzing the various types of wine grapes, learning about wine accessories (such as wine aerators, wine openers, and wine coolers), selecting the best wine club or understanding the difference between biodynamic and organic wine, and a whole host of other subjects. We also compiled a list of some of the best wine blogs in the industry, which you should definitely check out as it will get your learning kick-started. Get the hang of wine basics in no time. Download our Wine Cheat Sheet that cuts through the fluff and gets straight to the point. Although we have provided a ton of information on our blog, we soon realized that it still doesn’t put it in one easy-to-access place for you and still forces you to do all the hard work by picking out the important nuggets. That’s why we developed our cheat sheet. This cheat sheet is specifically designed to cut out all the “fluff” and get straight to the point teaching you just what’s important (and skipping all the unimportant stuff) so that you can spend more time drinking wine it! The best part is that it’s completely free (although we may choose to start charging for it at a later date), and wine becomes so much more enjoyable once you know the basics. Trust me! Get an understanding of the basics of wine in no time by getting familiar with basic wine terminology, and understanding the differences between various types of wine. 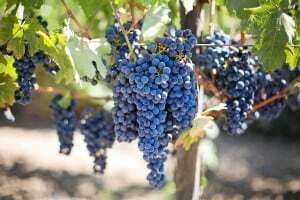 Be able to recognize key differences between almost 90% of all wines, by understanding the Big 6 Grape Varieties that make up the vast majority. Get an understanding of the golden principles that help you select great wines to pair with various types of food, and some "hacks" on how to best remember these. Download Your FREE Wine Cheat Sheet Now!